Taraz Technologies is providing superlative laser cut stainless steel and plastic stencils cutting services to its customers. Laser cut stencils are made by partner factory in China while plastic stencils are produced in-house which enables us to produce the stencils in shortest lead time of 1 day. Customers can choose framed or frame-less stencils based on requirement. Manufacturing lead-time is 1 day for plastic stencils and 1-3 days for steel stencils. Gerber Files: Please include following Gerber files (paste layer, board outline). In instructions, specify material, quantity, thickness, frame, size etc. WE NO LONGER Provide Stencils DUE TO IMPORT RESTRICTIONs and Internal Load, WE APOLOGIZE FOR THE INCONVENIENCE CAUSED. 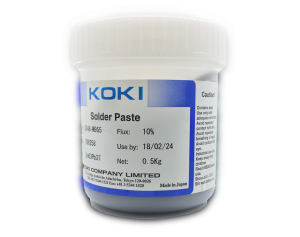 Are you looking for high quality Solder Paste?